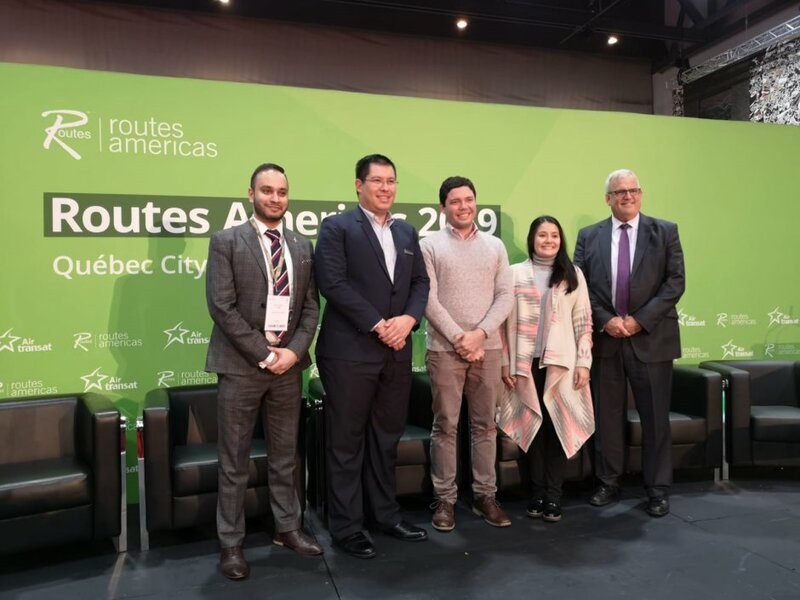 Follow our live blog for updates throughout Routes Americas 2019, the only route development event dedicated to the Americas region, taking place in Québec City. 17.45 - Routes Americas 2019 comes to a close! Thank you to all our sponsors, supporters and of course our amazing hosts! Thank you to all delegates and exhibitors for helping to make this event such an incredible success. We’ve had a brilliant three days and hope you’ve all had a very productive and successful time here. Safe journey home, and we’ll see you next year in Indianapolis! Routes Americas attendee Air Canada has today announced a series of changes to its network, including upgrading service and boosting capacity on key transborder routes from its Toronto and Montreal hubs. "We are very pleased to offer customers travelling between Toronto and the cities of Nashville, Washington Dulles and Memphis an upgraded travel experience with larger and more comfortable aircraft featuring a choice of Business Class and wi-fi options on all flights,” said Mark Galardo, vice president, network planning at Air Canada. In addition the carrier has announced strategic changes to Eastern Canada including upgrading Air Canada Express regional aircraft to larger Air Canada Rouge aircraft with inflight amenities on its flights from Toronto to Fredericton, Moncton and Thunder Bay, and from Montreal to St. John's. Air Canada has also said it will boost capacity on regional routes across Western Canada this spring as it deploys more Bombardier Q-400 Next Gen aircraft. As reported earlier today, Mexico’s flag carrier Aeroméxico is expanding its international network in South America with the addition of routes to Cali in Colombia and Guayaquil in Ecuador. Leading aviation consultancy ASM worked to secure the new route to Cali. Pictured (L-R) is María Fernanda Reséndiz, senior manager of corporate strategy and network planning at Aeroméxico; David Appleby, ASM’s director - Latin America and Caribbean; and María Gamboa, commercial director of Aerocali. La Romana International Airport has changed its name and claims to have the cheapest airport fees in the Dominican Republic as it seeks to present itself as being less elitist. 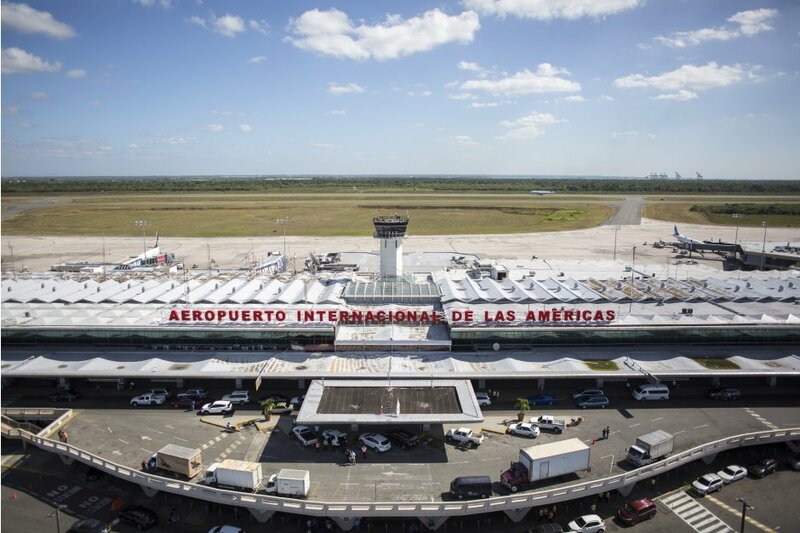 In an interview at Routes Americas 2019, Andres Fernandez, commercial, airport and port for the Central Romana Corporation said the airport had dropped the second part of its name, Casa de Campo, which alludes to a neighbouring luxury resort in order to appear more down to earth. He also claimed the fees were the lowest in the country, adding: "We are the least expensive (airport) in the Dominican Republic." The changes come as the airport targets a million passengers for 2024, up from a predicted 150,000 this year. Fernandez said part of this growth would be driven by the nearby Romana cruise port which is owned by the airport's owners and is expecting a number of new cruise companies to start operating out of it, including Fred. Olsen Cruise Lines in the 2019/20 season. The turnaround port currently handles about 130,000 passengers per annum. As Routes Americas 2019 draws to a close in the snow-coated city of Quebec, the hosting baton was passed to next year’s hosts, the city of Indianapolis. 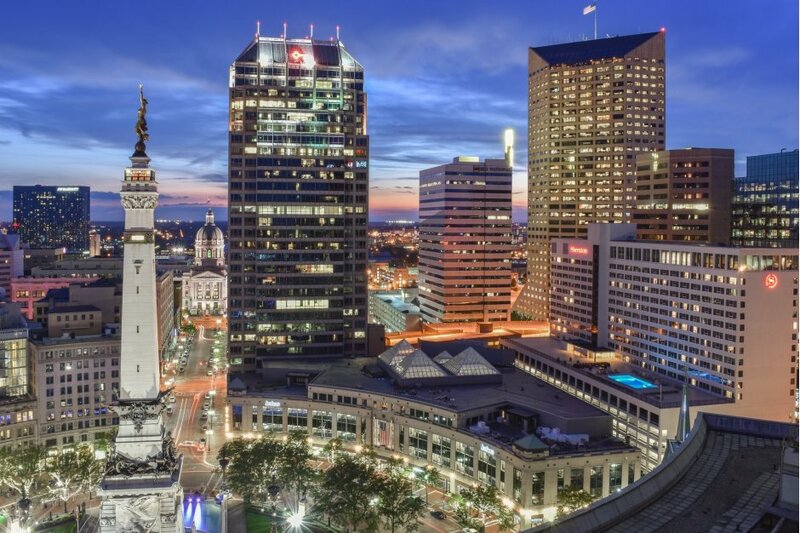 Routes Americas 2020 will be jointly hosted by the Indiana Economic Development Corporation, the Indianapolis Airport Authority, and Visit Indy, the city’s tourist board. A popular convention and tourism destination, famed for hosting the Indy500 auto race, Indy has a growing reputation for hosting major events and is also known for its unique brand of hospitality. Steven Small, brand director of Routes, said, “Indianapolis has a reputation for hosting great events so we are very excited to be taking the route development community there to experience its renowned hospitality. "It’s an exciting time for our hosts and we are confident that hosting Routes Americas 2020 will help them to achieve their ambitions. 13.00 - The Handover Ceremony is underway! 12.30 - Thank you to our hosts! 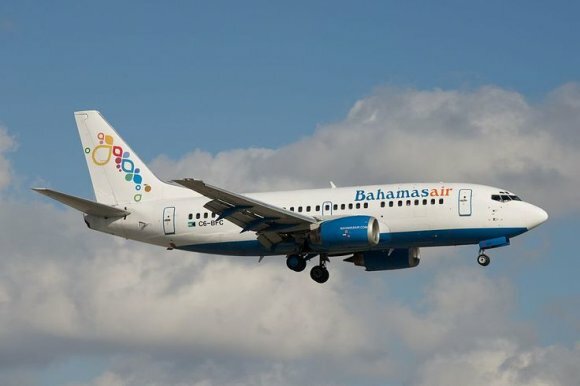 Bahamasair is looking to grow its network through more partnerships with other airlines rather than increasing the size of its fleet. 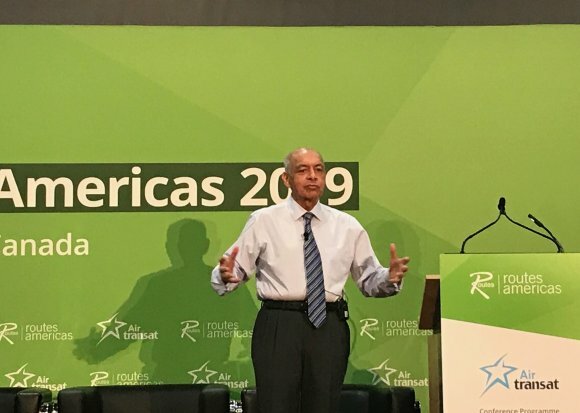 Giving a presentation at Routes Americas 2019, CEO Tracy Cooper said the airline, which operates nine aircraft on 135 flights a week and carried about 1.5 million passengers last year, was looking to grow numbers further having seen double digit growth in each of the last two years. He added: "It is not about growing the airline expansively with a whole lot of airplanes but through a lot of partnerships. "One of the reasons we are here in Routes is to try and get as many partnerships as possible. We're looking to connect passengers from other airlines, airlines that have difficulty getting in to the Bahamas." 11.30 - Watch highlights from day two! 11.15 - Did you know? 11.00 - New route announcement! Mexico’s flag carrier Aeroméxico is expanding its international network in South America with the addition of routes to Cali in Colombia and Guayaquil in Ecuador. The announcement was made during Routes Americas 2019. Leading aviation consultancy ASM worked to secure the new route to Cali. The airline will begin the Mexico City - Cali service on 16 May 2019, while the Mexico City - Guayaquil route will start on 1 May. Cali becomes the carrier’s third destination in Colombia in addition to Bogotá and Medellín, which opened in 2010 and 2015 respectively. The route will operate four times per week on Boeing 737-700 equipment, with capacity for 124 passengers. Guayaquil is the second Aeromexico destination in Ecuador in addition to the country’s capital, Quito. It will offer three weekly flights on Boeing 737-800 equipment, with capacity for 160 passengers. Anko van der Werff, commercial executive vice president of Aeromexico, said: “At Aeroméxico we are very proud to offer Mexicans and connecting passengers a greater offer to new Latin American destinations. Route development tied to tourism requires continuous collaboration between stakeholders -not only to grow, but also to ensure that shifting demands of travelers can be met, a panel of airline and travel industry executives have stressed at Routes Americas 2019. Nancy Houley, cruise market director for the Quebec Port Authority, cited her region's approach as an example. 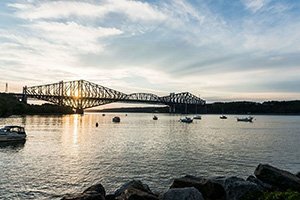 The St. Lawrence River has nine ports of call, which together create an enticing offering for cruise operators. The region, which includes Montreal, has banded together in joint marketing efforts. But limitations down the river past Quebec means Quebec City can handle larger ships than Montreal. So while the marketing is coordinated, it also targets appropriate operators: 3,000-plus-capacity ships for Quebec City, and smaller cruise-liners for Montreal. Airports in the region glean benefits from the approach by sharing the passenger throughput, she says. Often, however, they can play more prominent roles in landing new tourism business. lvaro Leite, chief commercial officer at VINCI Airports, references examples of airports within his company's portfolio sharing some added revenue with an airline that starts a new leisure route. Such agreements should be part of a joint effort among stakeholders that shares both risk and reward. "At the end of the day, it needs to be a circle between the [national] governments, local authorities, hotels, tour operators, and airlines," he says. "If this circle works well, everyone is going to have more revenue. That's why it's so important to work together." 08.00 - Day Three is underway! The destination marketing award was won by the Las Vegas Convention and Visitors Authority. The Las Vegas Convention and Visitors Authority (LVCVA) and McCarran International Airport (LAS) have formed a comprehensive partnership to support initiatives to grow air service for the destination. 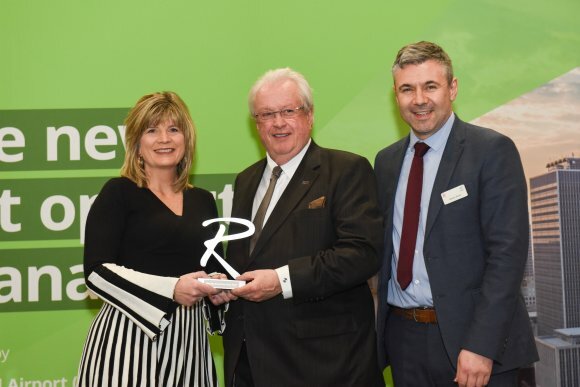 Oakland International Airport will go through to compete for the title of overall winner at the World Routes Marketing Awards which will take place in Adelaide on 23 September. 19.30 - The Networking Evening is underway! 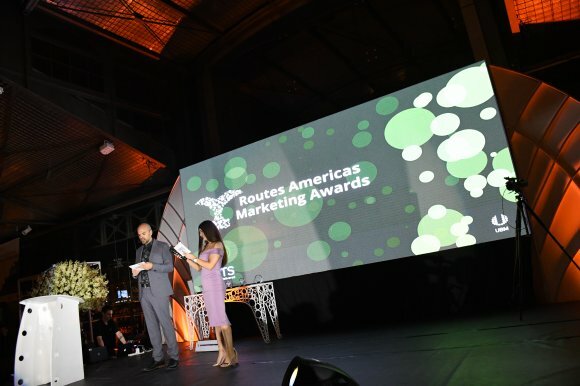 17.00 - Meet the Routes Americas 2019 Marketing Awards finalists! The Routes Americas 2019 Marketing Awards will take place tonight at the Networking Evening. 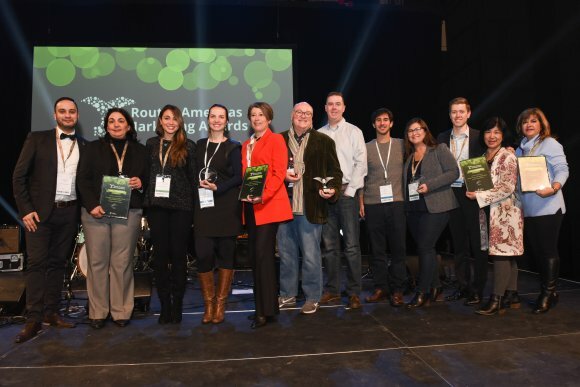 The Overall winner announced in Québec will be automatically shortlisted for the World Routes 2019 Marketing Awards in Adelaide! Ahead of the ceremony tonight, Routesonline takes a look at the airports and destinations in the running to win an award. Part one profiles the airports shortlisted in the Under 4 Million, and the 4-20 Million Passengers categories award. Part two profiles the airports shortlisted in the Over 20 Million Passengers category, as well as the tourism organisations in the running for Destination award. "This is the way you keep costs down," Estrada says. The A321s will be used where upgauging makes the most sense, including in resource-constrained Mexico City. 16.15 - How can tourism stakeholders work more effectively with aviation to develop new routes? In January, Routesonline reported that Star Alliance member Copa Airlines is to further expand its network in South America with a new non-stop flight connecting Suriname with its Panama City hub. 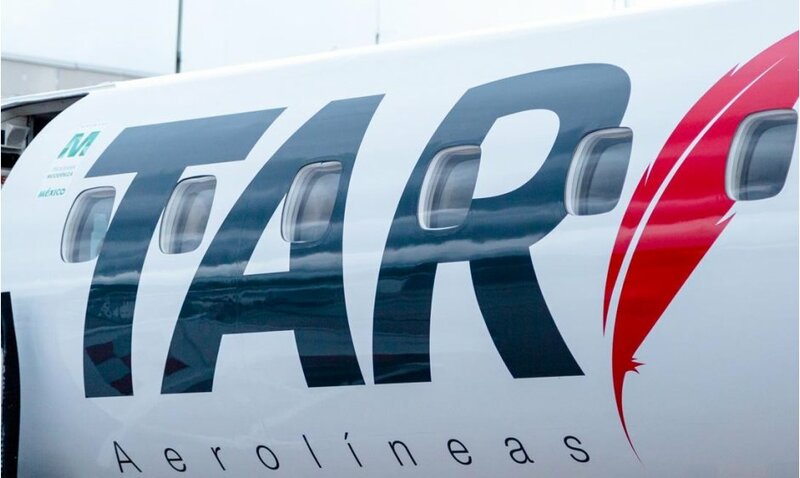 The carrier will initially operate the route to Johan Adolf Pengel International Airport (PBM) in Paramaribo twice a week on Wednesdays and Saturdays from 10 July 2019, using Boeing 737-700 aircraft. Leading aviation consultancy ASM has been working closely with Airport Management Ltd, which operates Johan Adolf Pengel International Airport, providing strategic advice, business case development and hands-on network support. Pictured at Routes Americas (L-R) is Omar Hashmi, senior consultant at ASM; Andrew Muller, policy adviser at Johan Adolf Pengel International Airport; Daniel Tapia, strategic planning manager at Copa Airlines; Michelle Wong Sala, planning analyst at Copa Airlines; and Mike St Laurent, vice president consulting at ASM. Omar Hashmi said: "Suriname is a great addition to the comprehensive Copa Airlines network and I see stimulation of tourism, business and VFR markets occurring not just on local traffic to Panama City but also points on the wider Copa network. "It has been a pleasure to work on behalf of Johan Adolf Pengel International Airport and convince Copa to invest in the nascent Paramaribo market." "One of the priorities of the Colombian Government is to promote international tourism. In order to do so we are paying special attention to improving our air connectivity with key cities around the globe," says Julián Guerrero, tourism vice president at ProColombia. "Just last year, we opened 17 new routes, including direct flights from Chicago, Munich and Amsterdam, among others. We are also improving our airport and tourist infrastructure to provide our visitors with a remarkable travel experience. "Colombia is an incredible country to visit, rich in biodiversity and cultural expressions. A country with varied regions such as the Caribbean Sea, the Pacific Ocean, the Andean mountains, the Amazon, and the Orinoco plains. 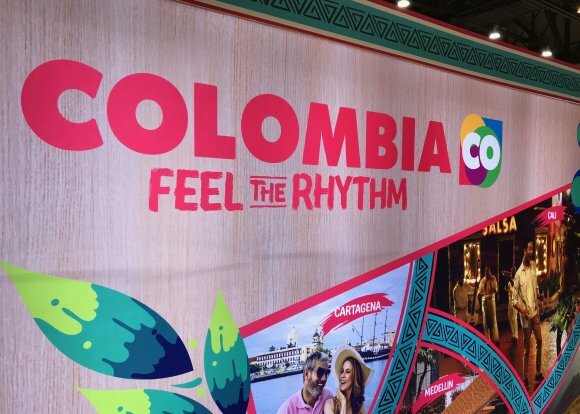 "With a strategic geographical location right in the middle of the American, Colombia is a place awaiting to be discovered, where you will live unique, memorable and transformative experiences." 12.15 - Great news for our Host! Ultra low-cost start-up Canada Jetlines has reached an agreement in principle to provide future service from Québec City Jean Lesage International Airport (YQB). The announcement was made by Javier Suarez, the airline’s chief executive, who provided a keynote speech at the route development event. “Québec City is an exciting addition to our future route network that will provide more Canadians with diversified and low-cost alternatives to explore this beautiful country. Jetlines plans to offer domestic as well as international flights. In 2017, Québec City Jean Lesage International Airport doubled its capacity by opening a brand-new international terminal. Since its privatization in 2000, the airport has tripled its traffic going from 643,000 passengers to 1.8 million in 2018. 12.00 - Did you know? Next in the Keynote Theatre we have an Skype interview with Swoop's president Steven Greenway, who took the helm of WestJet’s ultra low-cost carrier less than a year ago, overseeing its launch and the subsequent growth of its route network. Speaking to Routesonline about the ULCCs entering the Canadian market, he said: "Competition gets more intense every year and it comes in different flavours. It certainly seems Flair is going through a transformational year with its move to Boeing 737 NGs and expanding its fleet to 11 aircraft. We believe Jetlines will get up and running as well. 10.00 - Watch the highlights from Day One! After driving for four hours through the snow to get here, Jetlines' CEO Javier Suarez has taken to the stage in the Keynote Theatre! 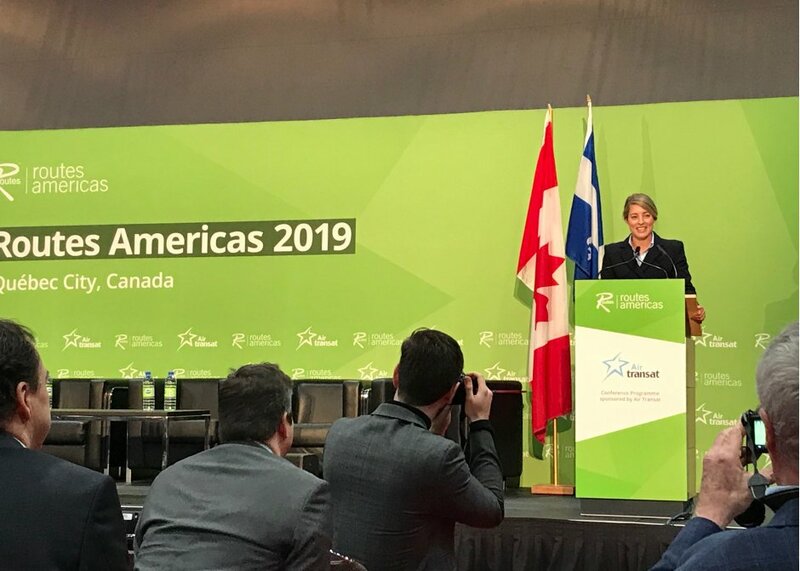 Taking place in the Keynote Theatre now is a Keynote Address from Mélanie Joly, the Canadian government's Minister of Tourism, Official Languages and La Francophonie. Her mandate consists of growing, and increasing the visibility of, the Canadian tourism industry, which accounts for nearly two million jobs across the country; safeguarding our two official languages; and promoting the use of French in Canada and around the world, including in the digital sphere. She is taking on this challenge with enthusiasm, after having been Minister of Canadian Heritage from 2015 to 2018. In that position, she passionately promoted Canadian culture, announcing a historic reinvestment in culture as well as the largest federal investment in official languages to date in this country. 08.00 - Day Two is underway! The second day of Routes Americas 2019 is now underway! In the Keynote Theatre today we'll hear from Jetlines’ CEO Javier Suarez on the fledgling airline’s plans for the next few years. 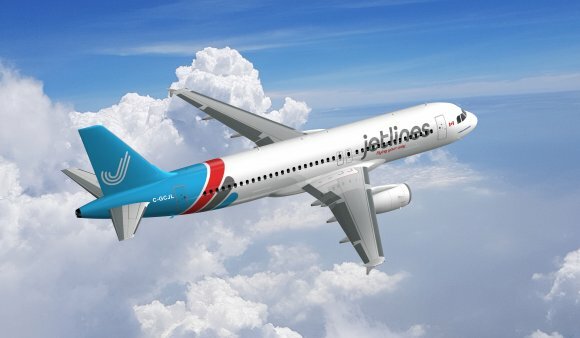 The carrier is expected to start operating in spring 2019 and, as part of his plans in his new role, he is working to develop Jetlines as a tech-driven airline that takes inspiration from some of the world's leading technology companies. 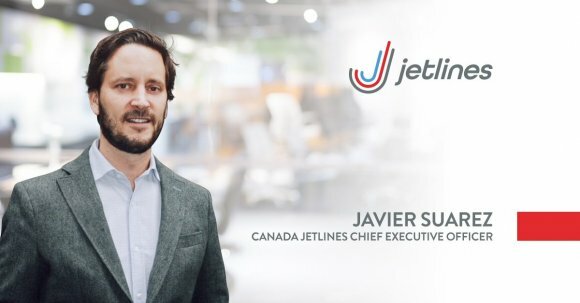 Ahead of his participation at Routes Americas 2019, Routesonline caught up with Suarez to find out more about his plans for Jetlines, including how the start-up can differentiate itself from the competition. "There are more than 650 aircraft in Canada and there are only a couple of very tiny airlines trying to move into the LCC space," he says. "The last markets that I operated in while working for Vueling and VivaAerobus (in Europe and Mexico), have LCC penetration of about 50 percent. "Canada is miles away from being remotely close to that - it is actually the only G7 country without a true LCC but that is about to change. We are not going to have flat beds but we are going to make more Canadian families happier than any other airline has." An agreement in principal to install a US preclearance facility at Quebec City Jean Lesage International Airport will further drive the city and region's growth. 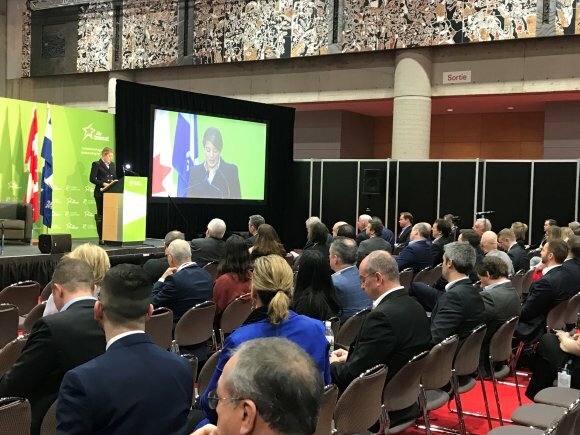 Speaking at Routes Americas 2019, Quebec deputy premier Genevieve Guilbault said introducing the measure will only have a positive effect. She added: "It will benefit both the tourism industry and business as well." 17.30 - The ribbon has been cut and the Welcome Reception is underway! Ultra-low-cost airline Flycana, which is attending Routes Americas 2019, has signed a memorandum of understanding with VINCI Airports-owned Aeropuertos Dominicanos Siglo XXI (Aerodom) to provide future services based on the Las Americas International Airport, José Francisco Peña Gómez (AILA-JFPG) in the city of Santo Domingo. With this agreement Flycana defines SDQ as its base airport, from where it will operate its routes and establish its aircraft and crew. Flycana is finalising an investment of $80m and will fly with the Air Operator Certificate (AOC) of its predecessor Dominican Wings operating with modern and efficient aircrafts for short and medium haul flights. Its operations are scheduled to begin in the third quarter of 2019. "As Santo Domingo is the city with the largest population in the country, we know that it will be very convenient for all our passengers to fly from SDQ located just a few minutes from the city center, but also connect to the beach destinations in La Romana and Punta Cana," said Victor M. Pacheco Méndez, president and founder of Flycana. 16.30 - Connecting the Americas: What’s next for the region’s route ecosystem? A host of aviation markets across the Americas have long lived within the ecosystem of the US powerhouse so, with ongoing political and economic uncertainty, what does their future hold? With the threat of a potential global trade war looming large and political challenges remaining in some markets, the industry’s growth in the region remains under threat. Despite this, fast-growth markets continue to outpace some of their more established neighbours and need to ensure their development is not stymied. She is officially welcoming attendees to the event and providing an overview of the city and region, and the ambitions to grow aviation and traveller networks. Guilbault says the construction of a US pre-clearance facility will provide a major boost for YQB. 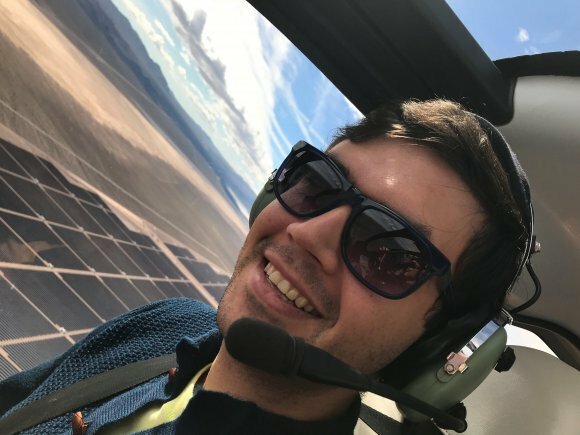 “We believe that there are a limited number of city pairs in Mexico that can be served with aircraft larger than 150 seats,” he told delegates. Smaller airports are going to play a much bigger role in the coming years thanks to aircraft technology and consumer preferences. That was the message from author and aviation expert Nawal Taneja, who has worked for and advised major airlines and related businesses worldwide. In an enthralling presentation about the future of the aviation industry, he said that four main forces would drive change. They are consumer preferences, technological advances, the complexities of the industry, and new disruptive competitors. “All the forecasts I see are that all the major airports around the world will continue to remain congested but I beg to differ,” said Taneja. “Driverless cars will replace some of the short-haul air travel, while the hybrid electric aircraft will also have the same impact. 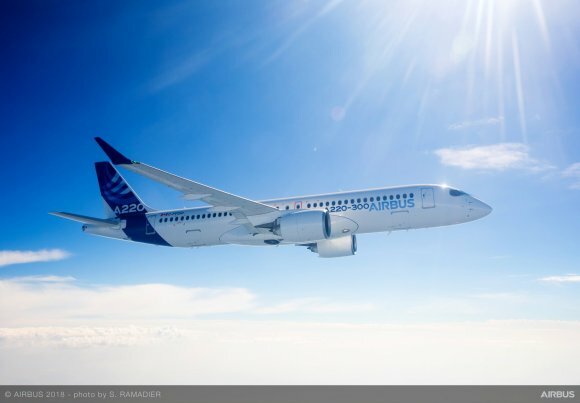 Taneja added that the development of long-rang narrow-body jets, like the Airbus A321neo, is already having an impact, meaning that the traditional hub and spoke model is less relevant. “If you can fly from points in North America to South America, why do you need to go through Miami? Does that mean Miami will disappear? Of course not! More direct flights to US destinations and connecting Canadians in remote areas are two of the aims for Quebec City Jean Lesage International Airport. 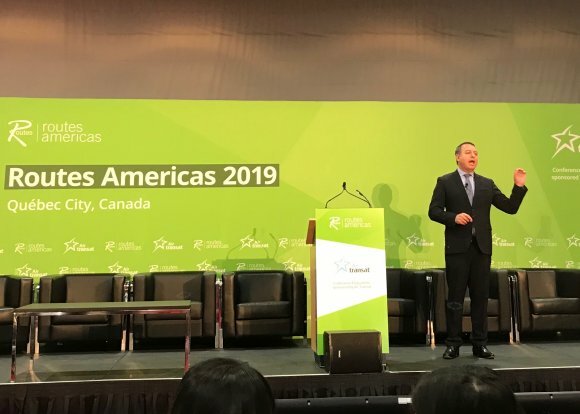 Speaking at Routes Americas 2019, which is being cohosted by Quebec City Tourism and the airport, its president and CEO Gaetan Gagne laid out his key objectives. And having seen the airport's passenger numbers grow from 673,000 in 2000 when the facility was privatised to 1.8 million in 2018, he has a strategy to get more. Gagne said: "Having more direct flights... to US destinations (is an aim). We also want to ease the life of Canadians living in remote areas by developing more regional services." He added the first step of this was achieved with the completion of the recent project which saw the terminal doubled in size while the decision to go after US pre-clearance facilities will also help. Gagne said much of the previous growth has been achieved by a customer-centric approach, adding: "The first step is identifying your primary customer, the second step is understanding what your primary customer values and the third step is allocating the resources to it." He also predicted as we move further into the digital world, aviation will be further shaken up while other new technologies like vertical take off and landing for aircraft will redefine how we think of airports. 14.30 - Nawal Taneja - What's next for global aviation? With a career that spans 45 years in global aviation, Nawal Taneja has worked for and advised major airlines and related businesses worldwide. That was the message of ALTA’s executive director and chief executive Luis Felipe de Oliveira. He said that the market has doubled in size over the past 20 years, with the rise of low-cost carriers a major factor. Last year also marked the 15th consecutive year of traffic growth. "77percent of domestic capacity growth in LATAM over the last ten years have been thanks to LCCs." 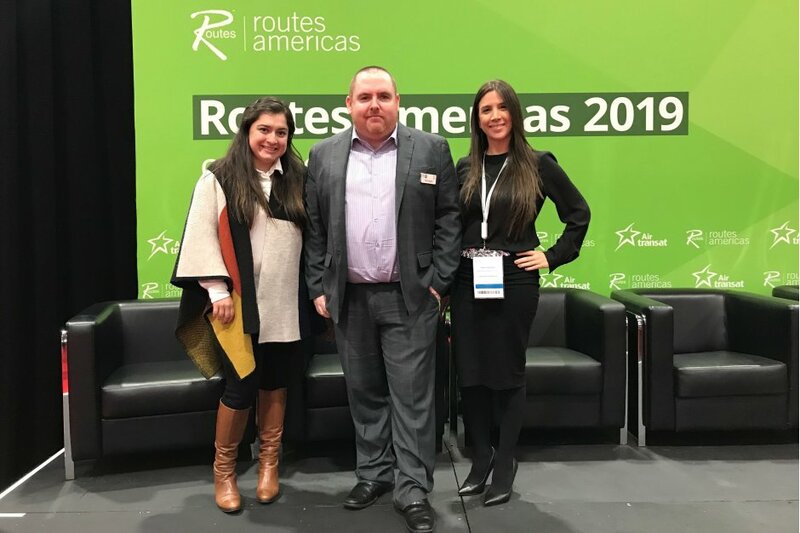 Steven Small, brand director at Routes, has welcomed everyone to Quebec, saying Routes Americas will aim to "connect the aviation industry together and learn the drivers and trends which will help us to make more informed decisions". "Across the Americas there is a huge amount to be optimistic about, he says. "Capacity increases are planned across many markets, while increasing liberalisation will enable the growth of LCCs and ULCCs. Nowhere is that more evident than here in Canada. 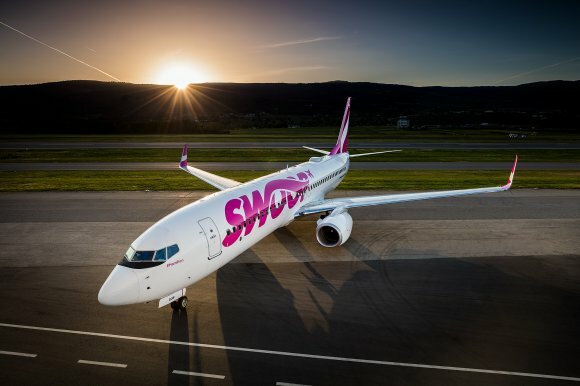 "Swoop and Canada Jetlines are two of the new ULCCs taking to the skies here, and we have the heads of both airlines joining us on stage tomorrow, so make sure you don’t miss the opportunity to hear from them. "Over the next three days we have senior representatives from airlines, airports and tourism bodies from across the Americas. "Some of the most innovative people changing the future of travel will be here, and we’ll hear about how electric planes, biometrics and new digital commerce methods could affect how we all work in the next couple of decades. "We’ll also hear from airline bosses from Latin American and the Caribbean. It’s this region where the fastest growth is currently being experienced, but also where the largest challenges have to be overcome to sustainably increase connectivity." 13.00 - Routes Americas 2019 is underway! Diary Advice and the Exhibition Hall are now open. The Conference Programme will start in 20 minutes. At 13.20 we'll hear from Routes brand director Steven Small and at 13.35 Luis Felipe de Oliveira, executive director and CEO of ALTA, will speak on the state of the airline industry in Latin America. 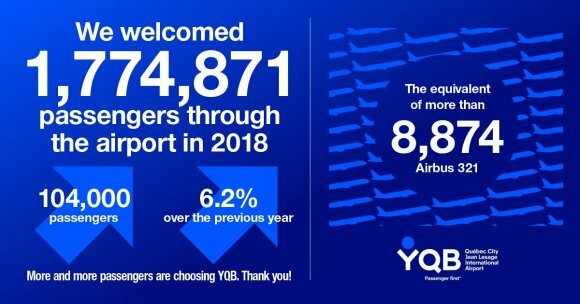 At 14.00, we'll then hear from Gaëtan Gagné, president and CEO of Québec City Jean Lesage International Airport, on how YQB intends to position itself as a major airport in Canada. Sponsored by @airtransat, the #RoutesAmericas conference programme will explore the challenges facing the aviation industry. 12.00 - One hour to go! There is just one hour to go until the 12th Routes Americas gets underway in Quebec City. A two-hour and 30 minute domestic flight between Mexico City and the tourist destination of Cancun is the busiest passenger air route in the Americas..
09.00 - Today's the day! 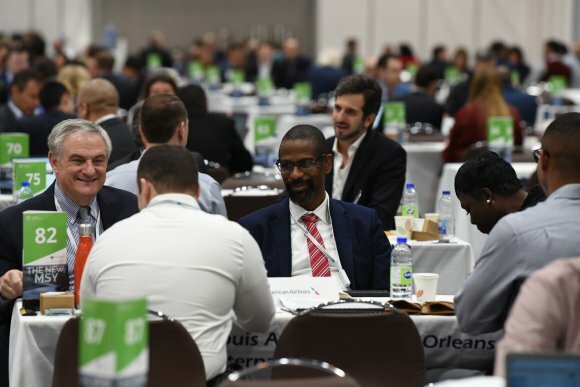 Routes Americas 2019, which is being hosted by Québec City Jean Lesage International Airport (YQB), will attract about 800 industry professionals and provide a platform for airports and destinations in Canada and the Americas to meet with key airline decision makers. It will also showcase the Québec area’s beauty and business potential. About 100 Routes Americas 2019 delegates braved the cold to take in the sights of Quebec City and one of the regions most famous attractions, the Ice Hotel. Separate three-hour tours of both the city and the hotel were held in the morning and the afternoon yesterday. Delegates opting to take the city tour visited the old town and a famous battle ground where they found out a lot more about the history of the city which dates back to 1608. Meanwhile, visitors to the Ice Hotel, which is built every year out of packed snow and ice before being pulled down in the spring, got to look around the property before enjoying some warming drinks in its ice bar. 15.00 - Behind the scenes! Situated in the heart of Québec City, the Québec City Convention Centre is the official event venue for Routes Americas 2019. Set on Parliament Hill, it is just minutes from Old Québec, a UNESCO World Heritage Site, and only a 20 minutes drive from Québec City Jean Lesage International Airport. Since opening in 1994, the venue has hosted more than 2,000 events and is widely recognised as one of North America's leading convention centres. With less than 24 hours to go, the build is coming along nicely! Sponsored by Las Vegas Convention & Visitors Authority, the Routes app is regularly updated with the latest news and event information, allowing attendees to maximise their time at Routes Americas 2019. The digital platform includes full delegate listings, latest updates and a live news feed, allowing attendees to share key messages both ahead and during the event. 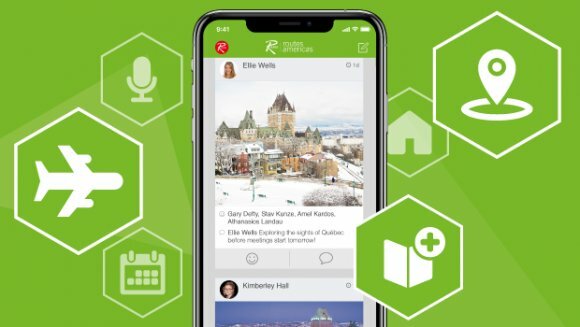 The On-site Meeting System (OMS) is also accessible via the app and provides delegates with the opportunity to arrange additional meetings ahead of arriving in Québec City. The OMS also allows attendees to add live content sessions to their diaries, blocking out the time to ensure they are available to join the debate and gain exclusive insight from the industry’s key players. Available on iOS, Android and in HTML5 format, the Routes app is only available to those who have registered for Routes Americas 2019, with users requiring a unique email address and PRC. If you experience any difficulties logging in to the app, please contact Kimberley Hall. 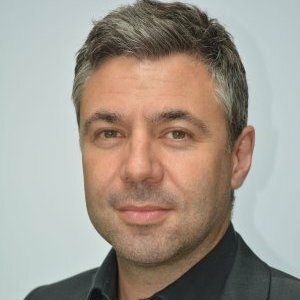 Nikolay Maltsev is an experienced airline specialist and has worked on a number of start-up airline projects in Europe, Asia and Americas. At Flycana, he is working on network development and financial aspect of the company in the role of a strategic adviser. "The airline is well-positioned in the Caribbean with very strong O&D market. We envision a diversified network spread out across the two continents with a balanced distribution of points," he says. "The North America is certainly the biggest market, but there are plenty of opportunities in the Caribbean region and Latam overall as the Dominican Republic holds the leading position in the Caribbean for its economy size and it is the eighth biggest in Latin America. "We will be starting with a wide spread and low frequencies to facilitate a mobile and shorter trips for passengers." Read more about the plans for Flycana. 12.00 Registration opens in one hour! 11.00 - "The perfect mixture of culture and nature"
With recent Routes Americas events taking place in the Caribbean, the southern US and South America, the climate has been decidedly warm. 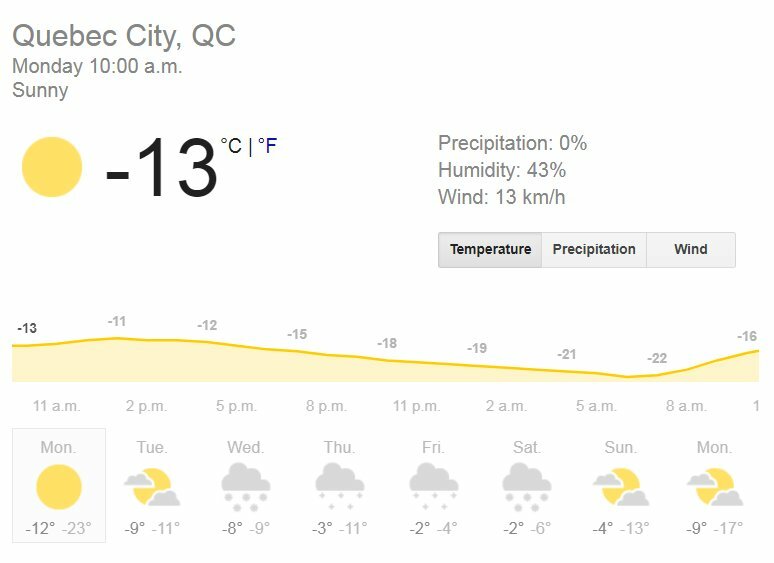 But delegates heading to the 2019 event will need to bring their winter coats to Québec City, where the average February temperature is about -9°C. 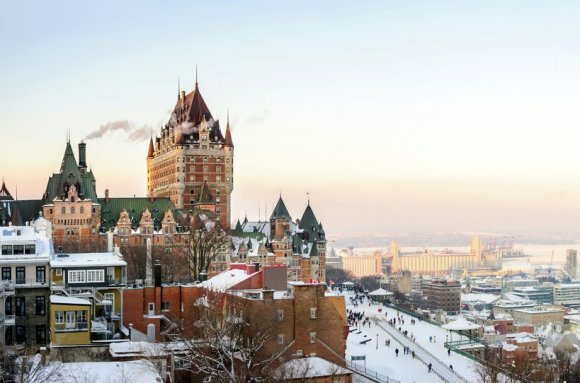 And in doing so, delegates will get to see a less well-known, but equally beautiful side of the city, says Québec City Tourism director André Roy. He says: “We have a lot of tourists in the summer and the product is known worldwide, but our main goal is to increase the number of tourists during the winter season. So the fact that we can hold Routes during the winter is great for us. 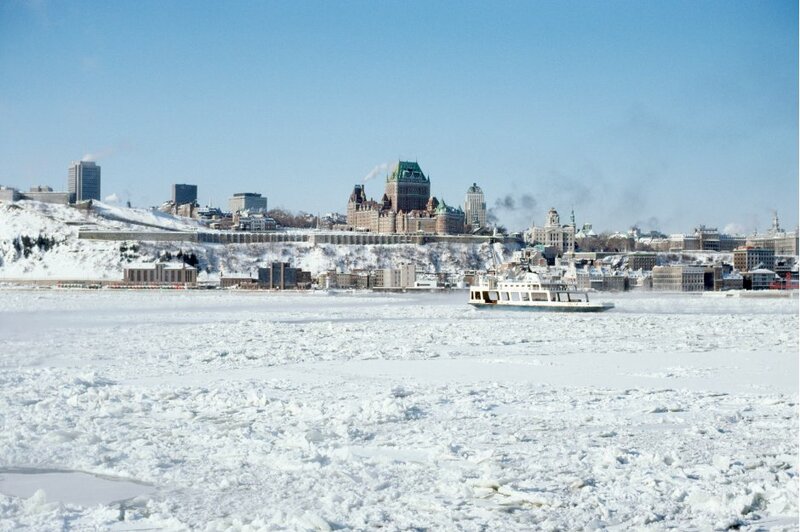 “It is so nice to see the winter snow, especially along the St Lawrence River and in old Québec City where it is very picturesque. Visitors in the winter get different experiences too; they can visit a museum in the morning and 30 minutes later they can be in the middle of a national park where they can go skiing or snowshoeing. 10.00 - Wrap up warm! It's a sunny but rather chilly day in Québec today so don't forget to wear the hat and gloves in your Welcome Bag! 09.00 - Welcome to Québec! 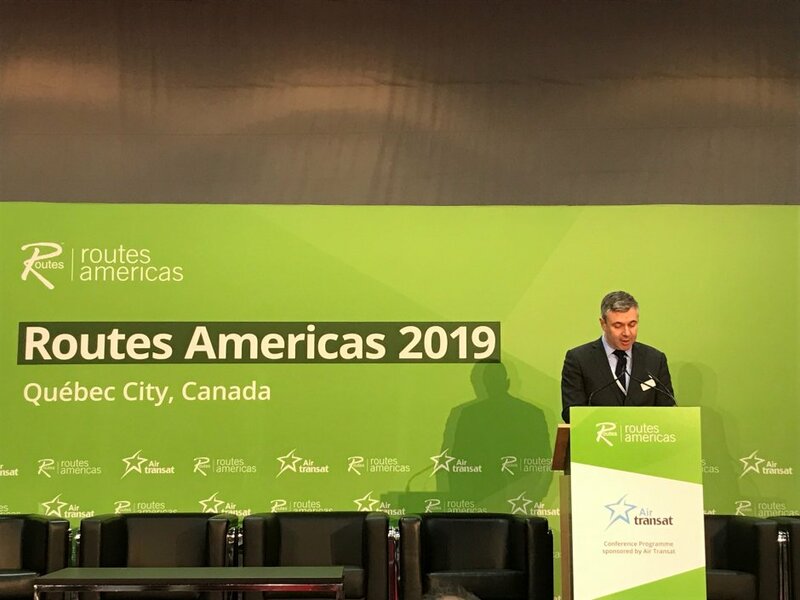 The 12th annual Routes Americas gets underway in Québec City tomorrow (12 February 2019), bringing together airlines, airports and tourism authorities from across the region to discuss and develop air route networks. The event's delegates will take part in more than 2,500 face-to-face meetings to discuss new and existing air services. Are you among the attendees? Share your journey to Québec on Twitter using the #RoutesAmericas hashtag and on the Routes app.